Black Mountain is a charming village 10 miles east of Asheville, NC. It’s a ride-from-your-porch kind of town that offers a wide variety of lodging options including quaint inns and cabins. 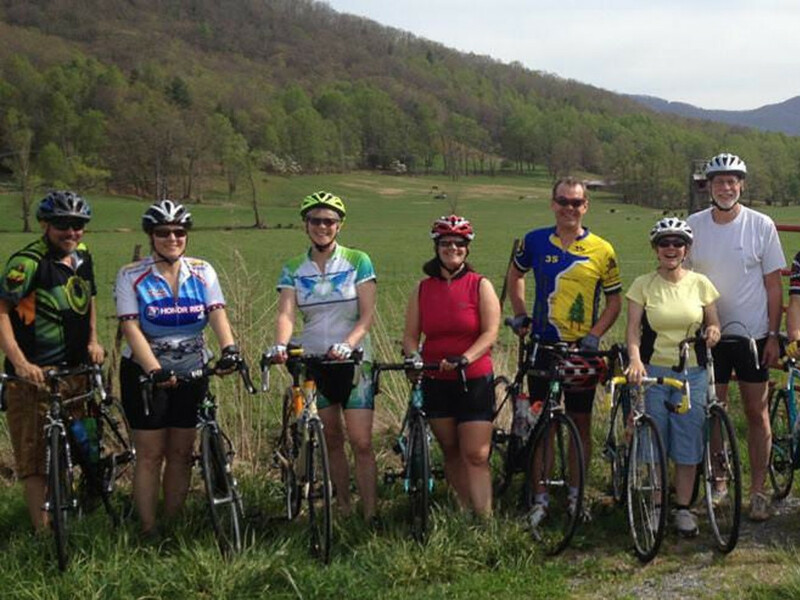 Jennifer Billstrom, the founder of Asheville’s Velo Girl Rides cycle tours shares her favorite Black Mountain rides here, routes that include challenging climbs in the mountains of Western North Carolina and local fare offered by farmers along the way. “My favorite routes range from 35 to 55 miles in length and include about 1,000’ of elevation gain for every 10 miles,” says Billstrom. “They’re suitable for the avid, experienced road cyclist.” Any cyclist coming to Western North Carolina should expect hills, she adds. Velo Girl is the creator of the Cycle to Farm events, held this year in Black Mountain, Chapel Hill and Sandy Mush (an area outside of Asheville, North Carolina and Greenville, South Carolina). Each ride benefits a local charity. But Billstrom also leads supported multi-day rides, including the upcoming Blue Ridge Parkway End-to-End Tour, which kicks off September 17. This 470-mile ride is a “bucket list” ride, says Billstrom, a 10-day adventure on the iconic parkway, with hotel stays along the way. From Bat Cave, head west on US-74A/US 64 to ride through Chimney Rock and make a loop around Lake Lure. Both villages are popular tourist destinations and offer a variety of dining options. After enjoying a tour of the lake, retrace the same path back to Black Mountain. 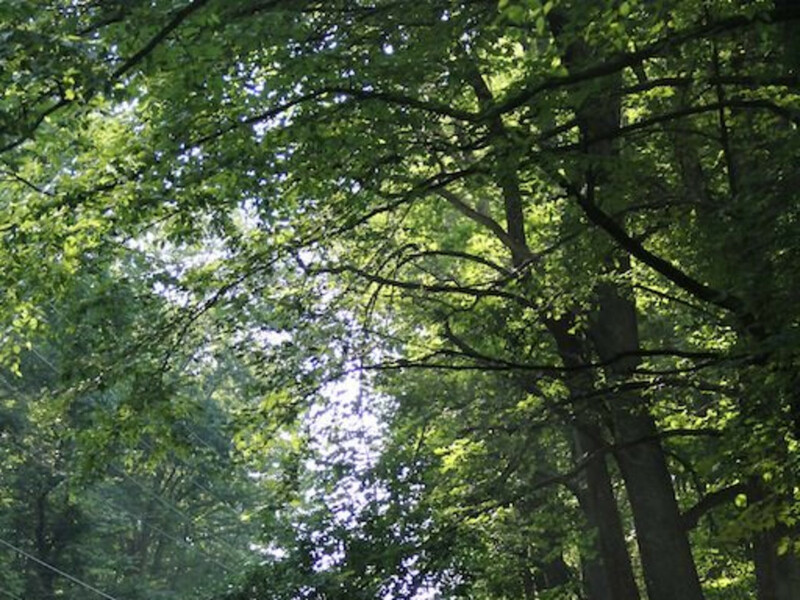 Delicious water from an artesian well can be found at Rise Up Rooted Farm and River Camp located along NC-9 about half way between Black Mountain and Bat Cave. Alternatively, cyclists can turn east on US-74A after reaching Bat Cave to ride along Hickory Creek while climbing through Hickory Nut Gorge. At the summit of this six-mile climb, prepare for one of the most enjoyable descents in Western North Carolina. 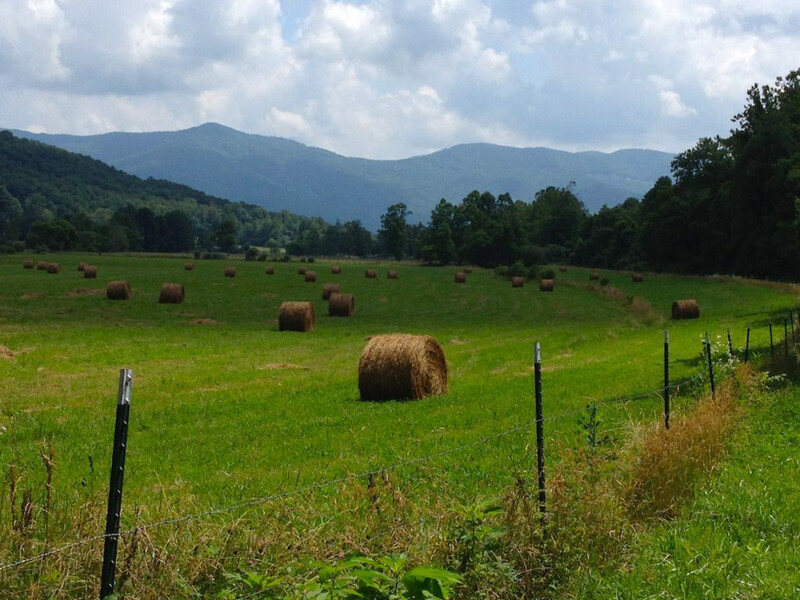 As the valley floor opens up to reveal fields of corn, vegetables, and flowers, take a quick right turn onto Sugar Hollow Road to visit the Hickory Nut Gap Farm Store . Treats like grass-fed beef jerky, locally made ice cream and whole food snack bars make the farm store a perfect place to refuel. By winding along Garren Creek Road toward Fairview, cyclists will find a hidden treasure on Nobel Road. It is not uncommon for riders to feel like they have been transported to Napa Valley when they arrive at Looking Glass Creamery. Order a cheese plate and glass of wine and allow yourself to melt into the experience. Find your way back to Black Mountain by following Old Fort Road/Chestnut Hill Road until you reach NC-9 and retrace your path.